We met Patricia and Andy via their event planners, Scheme Events. 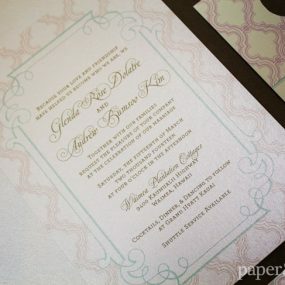 Their modern wedding invitations are a direct reflection of their contemporary, classy style. 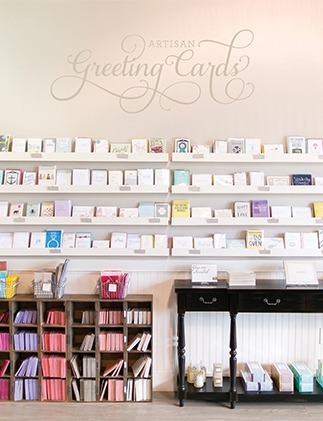 The couple lives out-of-state, so they relied on their amazing event planners to help carry out their vision. Their wedding at Mandarin Oriental Las Vegas took place over 4th of July weekend. So, while this was a 4th of July wedding, Patricia and Andy didn’t want to go over the top with that theme. No Uncle Sam illustrations here! Instead, our design team utilized a deep red, navy blue, and white color scheme. It’s obviously a patriotic color combination, but when you look at the invites, they don’t scream America. 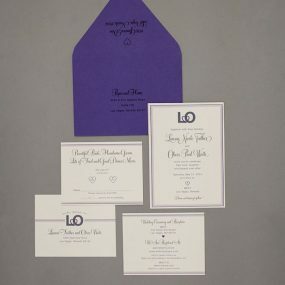 They are simply a beautiful set of modern wedding invitations. 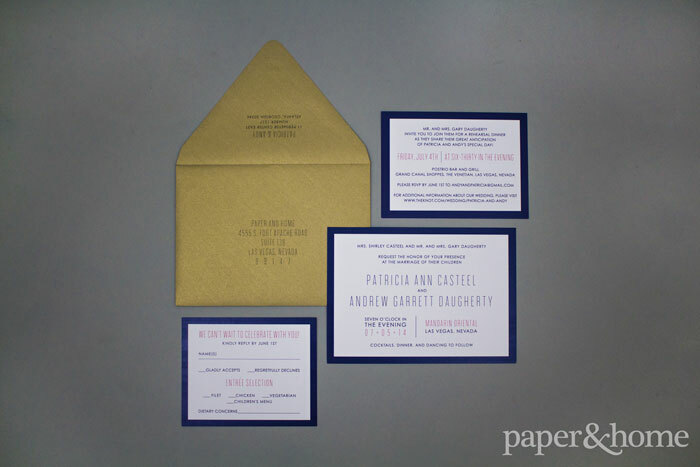 The gold shimmer envelope is a classy addition that adds a unique touch to this invitation suite. It’s an eye catching element that gets guests excited for a fun 4th of July wedding weekend in Las Vegas! Want to see more of Patricia and Andy’s Mandarin Oriental Wedding? 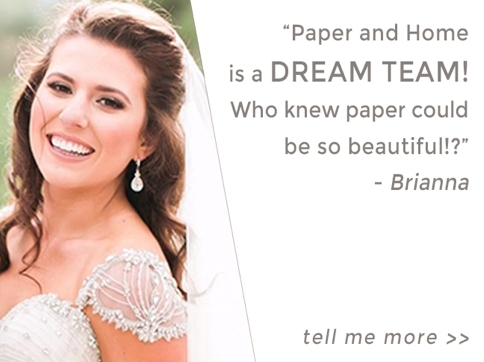 Head on over to the blog of their wedding photographer, Adam Frazier, who captured all of the details. And for a great story and more background on the couple, head on over to Scheme Events’ website.